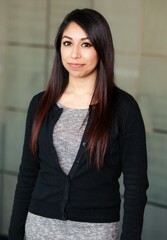 Lorena Rodriguez is Head of the Paralegal team at ADLI Law Group. Ms. Rodriguez began her career at ADLI Law during a Winter Internship that led to her full time position. She currently assists the Litigation Team with preparation and case intake and assists the Administrative Team with Office Administrative Tasks. Her capability to multi-task has proven her to be a resourceful addition to ADLI Law and our clients. Lorena is receiving full training to become a Certified Legal Assistant. Ms. Rodriguez competed her Extension Program at University of California Los Angeles in 2016 during her full time position at ADLI Law. After graduating from her UCLA course, she received her Paralegal Certification.